A key component in virtually any fusion job site is making sure that all fusion joint data has been recorded accurately. Proper joint data allows the peace of mind of knowing that the joint was fused using supported standards along with the proper pressure and times. In the past, this information would have to be recorded manually which can prove to be cumbersome and does not allow to make the most efficient use of time. 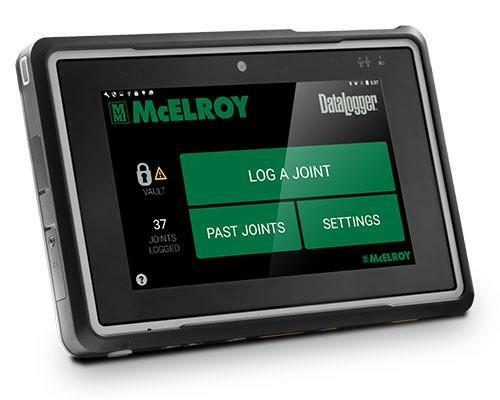 With the McElroy Datalogger® 6, all of this information can be stored in a central location and kept up-to-date at the press of a button. The DataLogger is an Android-powered tablet that will record all of the parameters of the fusion process, including details such as heat soak times and heating pressure. The tablet itself is designed for real world use, capable of withstanding bumps with its ruggedness so that you don’t have to constantly worry about damaging it. It is also IP67-rated. The tablet features a pair of cameras to capture existing conditions, a barcode scanner to easily enter fitting and pipe information, and its wireless sync feature allows you to easily share fusion joint records. You can read more about the DataLogger 6 on the MIMECO website. Should you wish to purchase the tablet, please visit the McElroy DataLogger 6 page on the McElroy Parts website.